The Anahata Yoga Health & Education Trust has been established as a nonprofit organisation, enabling us to expand our capacity in sharing the yogic lifestyle for the well-being of individuals and families of all walks of life. Our vision includes promoting health, personal growth and wellness. We are committed to providing experiential learning opportunities and accessible yoga education for all. We are actively working towards preservation of the natural environment and sustainable development of the retreat infrastructure. 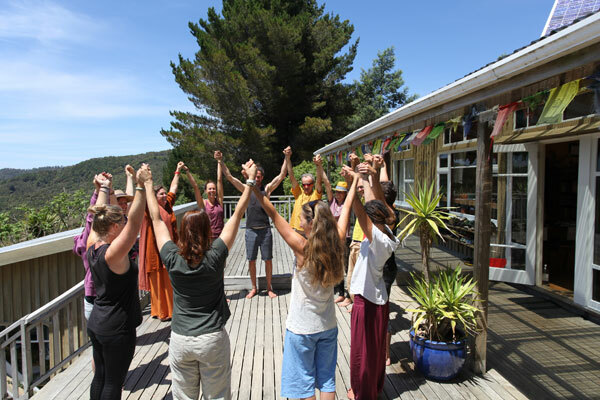 Under the Trust we seek to live the yogic lifestyle and share our knowledge with all who come to the Retreat. We are committed to practicing and teaching Yoga and living ecologically and sustainability. We endeavour to be able to include all levels of the socio-economic population and are in the process of developing a scholarship program. We agree to live by and comply with the following Code of Ethics below.